Top 10 Best RO UV Purifiers in India 2019 - Top 10 In India - Only The Best of everything! LATEST product list, updates regularly! India's best RO UV Purifiers - Best for your home today! No matter which city you live in, you need a water purifier at home. The other option is to buy bottled mineral water. If you prefer the advantages of a good water purifier, then this page will give you some of India's best RO UV water purifier choices today. RO or reverse osmosis is a system that makes water potable or drinkable. However, today we need to combine it with more technology advances like UV, UF and MF to make the water absolutely safe to drink. That makes a RO UV purifier capable of removing almost all the impurities that may be found in tap water in India. A good RO UV water purifier will remove fine particles of mud, sand, dust and of course bacteria and virus. It will also be able to clear the water of excess dissolved minerals such as magnesium, potassium, heavy metals and calcium. The heavy metals it removes includes harmful ones like lead, arsenic and flouride. To make a choice of the best water purifier for your needs, you can start by looking at the most popular water purifiers in India. 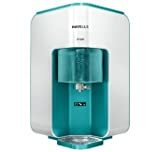 That is why we have put together a daily updating list of the very best and best selling RO UV water purifiers in India. The list below is updated every day so that only the latest and best models of RO UV water purifiers are featured. 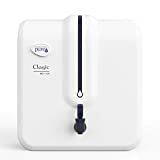 However, we have also done an independent survey of all popular water models and arrived at out own choice of the best water purifier in India today. Our No. 1 pick is the Kent Grand Plus Water Purifier. We feel that the Kent Grand Plus has some very useful features and is the best RO UV and add to that UF water purifier in India. It has a highly efficient and thorough 7 step purification process that uses technologies like Reverse Osmosis, UV anf UF. TO that it also come with a TDS Controller that manages the concentration of Total Dissolved Solids in the water. It has storage capacity of 8 liters which is ideal for an Indian household. To add to this, its purification capacity goes up to 20 liters per hour. It is very versatile and works with all kinds of water, from bore wells to tap water to hard water. This water purifier has a built-in alarm that indicates when the filter needs to be changed as well as when there is a UV failure. The all important TDS Controller keeps the correct level of minerals in the water. This water purifier works for water that has TDS as high 2000. For long term usage and hassle free performance, it comes with a 1 year warranty and a whopping 3 years of free service. Another great feature is the transparent cover of the water purifier that lets you see everything that is going on inside in the process of purifying the water. It is also a very robust and durable water purifier with a built-in SMPS that protects the water purifier from voltage fluctuations. Another important environment friendly feature is the better use of water. It's Save Water Technology enables it to transform 50% of the water into drinking water, compared to a very small 20% with other water purifiers. Due to its popularity and excellent reputation it has also been named Amazon's Choice of water purifiers. You can have a look at the Kent Grand Plus Water Purifier here. Installation: Free installation is provided on this product by the manufacturer. Removes Up To 80-90% Of Contaminants With Real Reverse Osmosis Technology With Excellent Quality Filters. Double purification by RO and UV/UF with TDS controller No Warranty For Filters,THREE MONTH Warranty For Electrical Parts, Except Uv Lamp,Electrical Part Will Be Send Through Courier But Technicians Charge Is To Be Paid By Customer.Buyer are requested to check the seller name before buying. Clean drinking water is may be the single most important thing required for the good health of you and your loved ones. If your drinking water is not germ free, it will be an immediate cause of disease, and prove to be quite disastrous. A good water purifier is a good way to ensure clean and pure drinking water at home. Among the many types of water purifiers, the RO + UV water purifiers are supposed to be one of the best and most effective. They are able to purify even hard water that is found in many parts of India. Have a look at this video that showcases the top ranked RO and UV water purifiers in India, and find what you need.